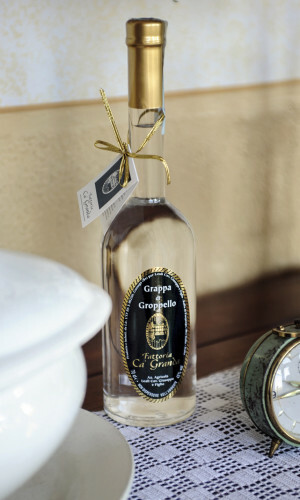 Grappa obtained with typical traditional way: in small boilers. The aromas recall the original vine enhanced by distillation. The taste is with special nuances that does not dry out your throat in the aftertaste. Sipping brandy, served cold or at room temperature. Alcohol 45%.